Please allow me to introduce you to The Foley Team. 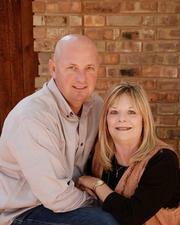 We are a husband and wife team with a devotion to God, Family, and our Business. We are hard working individuals devoted to helping you find your dream home and/or reach your investment goals. Two Agents in One! Please give us a call for any and all your Real Estate needs. We are Double Excited about assisting you!